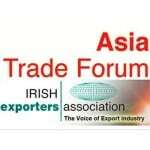 The Asia Trade Forum is an initiative of the Irish Exporters Association and has been established to support Irish businesses to take their first steps in Asia. This briefing session, scheduled for the 2nd Oct, aims to assist Irish companies, R&D and SME’s in connecting with the Asian market. This event will cater for CEO and Managing Director level; with representation from companies who are interested in developing exports as well as those companies who are already active in the market. This event will focus on the practical experience and tangible results of working with and in Asia. Given our experience of successfully tapping into the Asian market and also the interest in Halal certified foods, Dr. Umar Al-Qadri will give a presentation on the importance of Halal certification for export to Asia.